Amsterdam, 31 January 2019: The Things Network today announced a partnership with Tencent, China’s leading provider of internet value-added services, to roll out LoRaWAN networks and services together. The collaboration aims at strengthening the LoRaWAN ecosystem and engaging the global and Chinese developer community. This announcement was made at The Things Conference, 2019 in Amsterdam - link. Tencent and The Things Network (TTN) will expand the global and Chinese LoRaWAN ecosystem, targeting embedded and application engineers, device makers, cloud service providers and systems integrators. Together they present a series of tools and events that empower developers to quickly and easily access network knowhow. 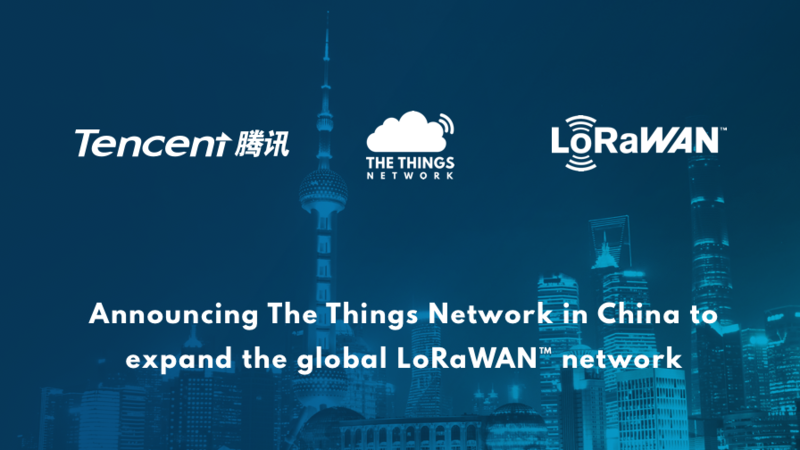 The Things Network’s existing infrastructure with its highly evolved software stack in combination with Tencent’s well-established brand, network infrastructure, and distribution channels will now allow IoT innovators to speed up development and commercialization of LoRaWAN solutions. Collaboration and learning will be accelerated through local implementations of the online forum, local communities in cities across China, open source repositories, tutorials and events. Tencent and The Things Network together will host the Chinese edition of The Things Conference in the summer of 2019. 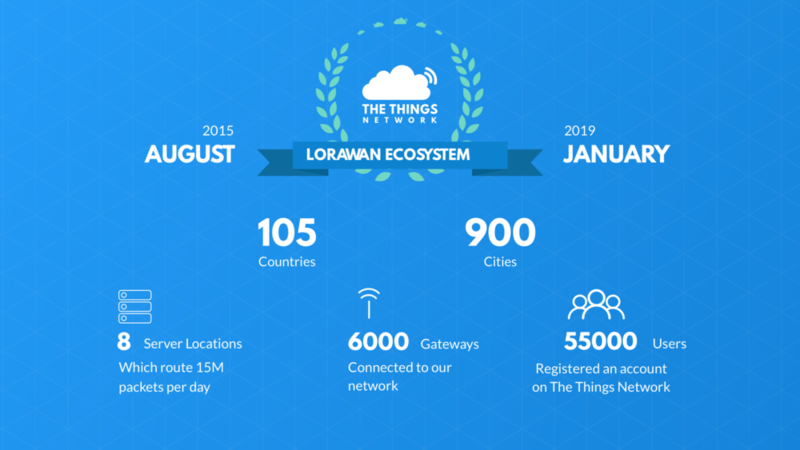 We are on a mission to build a global Internet of Things network with LoRaWAN. We do this by making it very easy and cost effective for developers to build LoRaWAN applications. We are very happy to expand to China together with Tencent. Earlier in 2018, Tencent announced to join the LoRa Alliance™, and launched a LoRaWAN network in Shenzhen along with a comprehensive toolset for its users. Through this collaboration with Tencent, The Things Network will replicate and extend its successful portfolio of developer engagement assets, and open up mutual networks for the communities to use. We are very excited about the collaboration between Tencent and TTN. By combining Tencent and TTN’s technology, resource and experience, we believe that the global and China IoT developers, application engineers, device makers, cloud service providers and systems integrators will benefit from a fast-growing and open IoT ecosystem. Semtech, supplier of LoRa® chips and initiator of the LoRa Alliance with a strong presence in China already with its LoRa chips, proves very supportive of this development. The continued global momentum around Semtech’s LoRa Technology is tremendous, and this strategic relationship between Tencent and TTN is another testament to the power of LoRaWAN and its ability to drive IoT forward,” said Alistair Fulton, Vice President and General Manager of Semtech’s Wireless and Sensing Products Group. “The collaboration with TTN should allow Tencent to accelerate the enablement of the developer community to build LoRa -based solutions in China and to help expand the opportunity for developers, makers and systems integrators in China to gain access to better knowledge, tools and tutorials for the LoRaWAN ecosystem. The Things Industries (TTI) is a full-service Internet of Things network specializing in LoRaWAN M2M communication. The Things Industries founded The Things Network (TTN), a global crowdsourced IoT data network. The Things Network provides an open source software stack that can be used to build LoRaWAN network. It further supports a global community of LoRaWAN developers through a portfolio of services, such as local communities, a library of online tutorials on how to get started with LoRaWAN, and it hosts the largest LoRaWAN Forum available today. There are over 60.000 IoT developers using this infrastructure, and over 6000 connected gateways around the globe processing over 15M messages per day.